The outdoor living professionals at SRA Home Products — a company that’s been serving the Springfield, Pennsylvania, area since 1988 — are pleased to carry a wide selection of Mediterranean-inspired pergolas. If you’re looking to create an idyllic backyard retreat where you can relax with friends and family, our pergolas offer the perfect solution. Attached — Our attached pergolas connect directly to the side of your home. As such, they don’t require supporting columns on the connecting side, which means additional square footage underneath. Plus, depending on the angle of installation, our attached pergolas can shade your home and help keep the area cooler. Freestanding — Our freestanding pergolas offer maximum versatility, as they can be installed almost anywhere on your property. They are an excellent choice for customers who want to create a living space that’s set apart from the perimeter of the home. 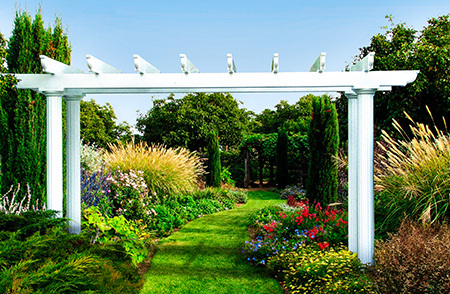 Garden arbor — Our garden arbors are similar to our freestanding pergolas, in that they can be installed almost anywhere and don’t need to be connected to your home. What sets them apart is that they feature an open beam design that’s perfect for encouraging the growth of climbing plants. We also offer a state-of-the-art operable pergola model, which allows you to effortlessly transition between open rafters and a closed roof at the touch of a button. 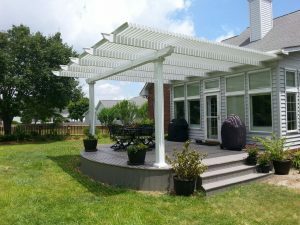 If you’re stuck deciding between a pergola and a patio cover, this is the choice for you. 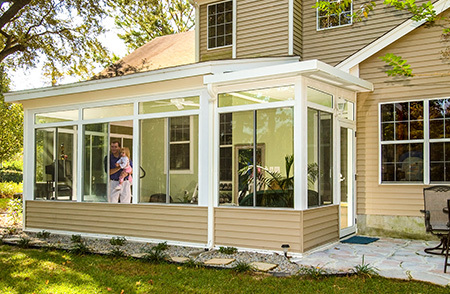 Our operable pergolas offer you the chance to bask in the sunlight like you would with a pergola, but with the option of the overhead protection offered by a patio cover. If you’re interested in adding one of our stylish pergolas to your Springfield, PA, area home, please contact SRA Home Products today.